Recover the refrigerant. Refer toRefrigerant Recovery and Recharging.Remove the left headlamp. Refer toHeadlamp Replacement.Remove the surge tank. Refer toRadiator Surge Tank Replacement.Remove the washer bottle. Refer toWindshield Washer Solvent Container Replacement.Remove the battery. Refer toBattery Replacement.Remove the battery box bolts from the battery box.Disconnect the negative battery cable nut from thewheelhouse. Remove the nut retaining the liquid line to the struttower.Disconnect the harness and vent hose retainers from theliquid line. Remove the evaporator outlet hose and liquid line retainerplate nut from the thermal expansion valve (TXV).Remove the evaporator outlet hose and liquid line from theTXV. Remove the liquid line nut from the condenser.Remove the liquid line from the condenser. Remove the bolt retaining the liquid line to the body. Route the liquid line below the battery box and the groundlug. 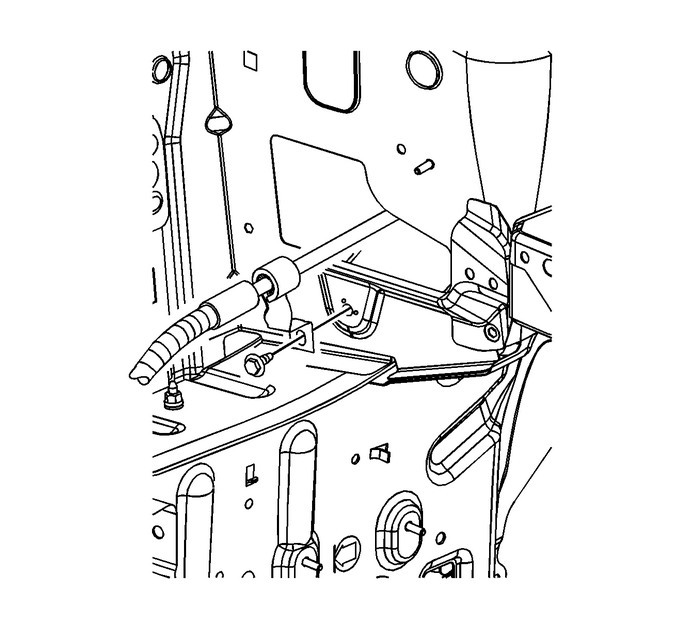 Connect the negative battery cable nut to the wheelhouse andtighten to12-Y(106-lb-in). Remove the protective caps from the condenser, the evaporatoroutlet hose, and the TXV.Install the new sealing washer to the liquid line. 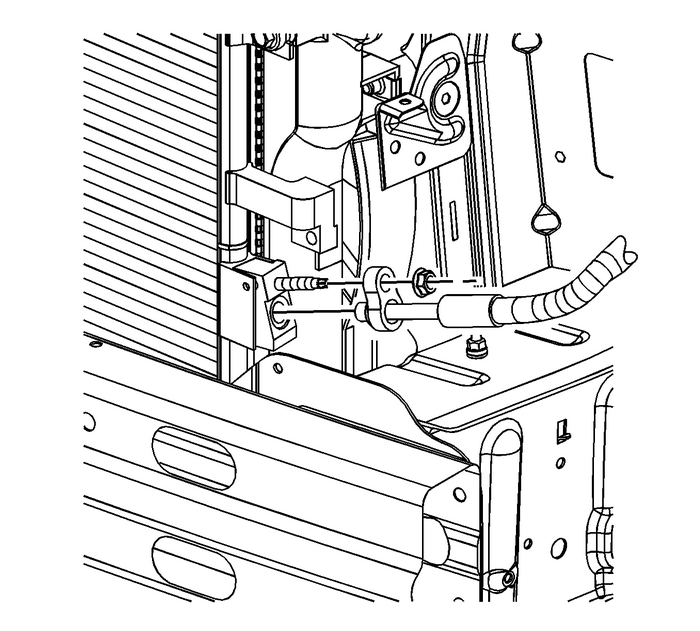 Refer toAir Conditioning System Seal Replacement.Route the condenser end of the liquid line intoposition.Install the liquid line to the condenser. Note:Use a large pair of pliers to hold the fitting whiletightening the nut. Be careful not to twist the line. Install the liquid line nut to the condenser and tighten to22-Y(16-lb-ft). Install the bolt to retain the liquid line to the body andtighten to9-Y(80-lb-in). 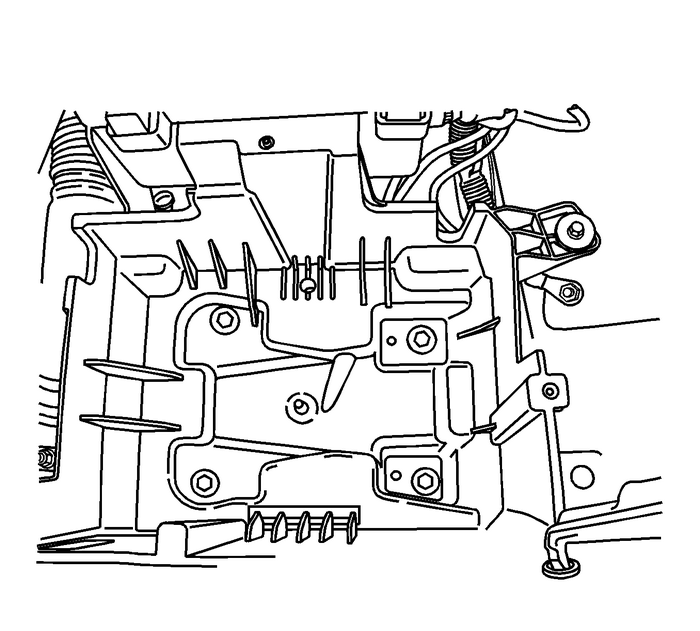 Remove the protective cap from the TXV, the liquid line, andthe evaporator outlet hose.Install new seal washers to the liquid line and theevaporator outlet hose. 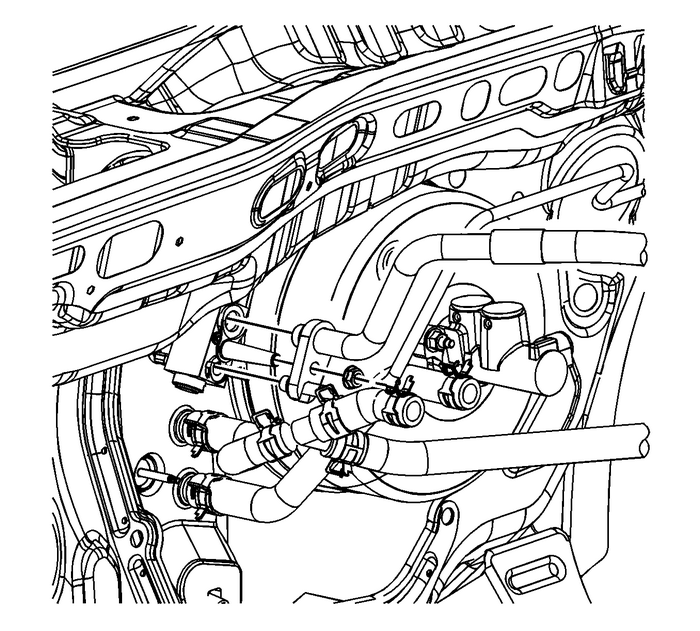 Refer toAir Conditioning System Seal Replacement.Install the liquid line and the evaporator outlet hose to theTXV.Install the liquid line and evaporator outlet hose retainerplate nut to the TXV and tighten to22-Y(16-lb-ft). Install the four battery box bolts to the inside of thebattery box and tighten to15-Y(11-lb-ft).Install the battery box bolt to the outside of the batterybox and tighten to10-Y(86-lb-in).Install the battery. Refer toBattery Replacement. 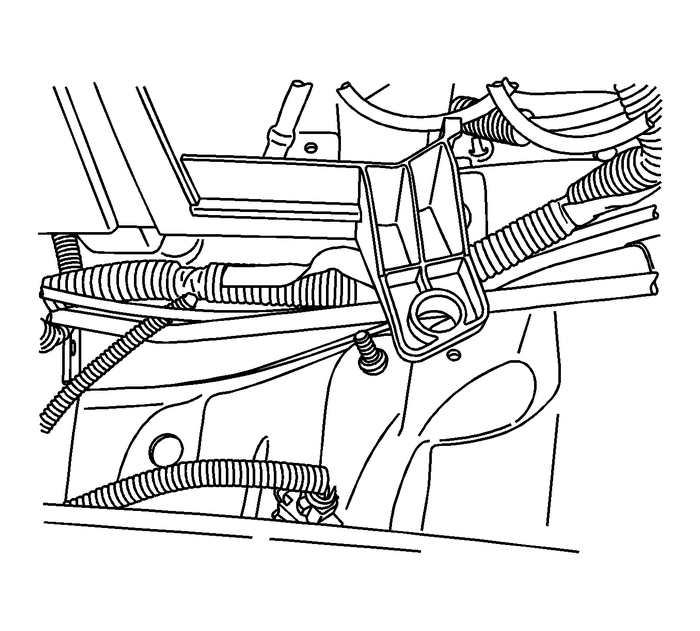 Install the liquid line to the strut tower.Install the liquid line nut to the strut tower and tighten to9-Y(80-lb-in).Connect the harness and vent hose retainers to the liquidline.Install the surge tank. Refer toRadiator Surge Tank Replacement.Install the washer bottle. Refer toWindshield Washer Solvent Container Replacement.Install the left headlamp. 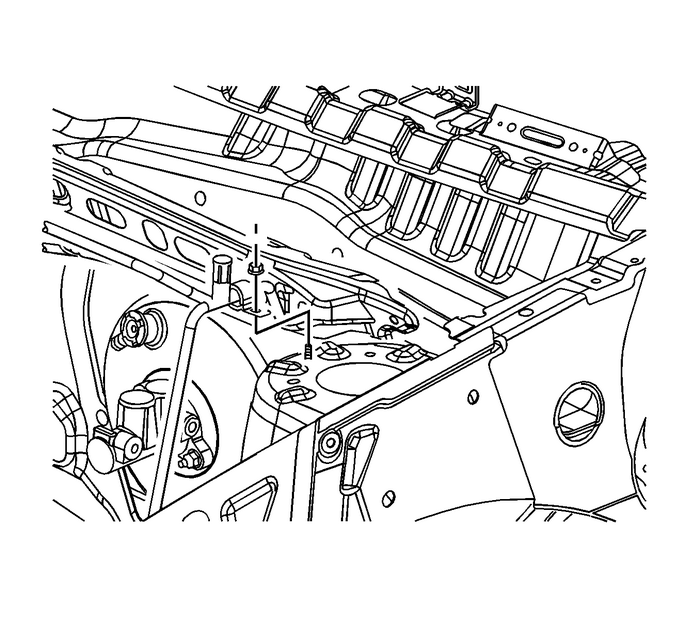 Refer toHeadlamp Replacement.Recharge the A/C system. Refer toRefrigerant Recovery and Recharging.Test the affected A/C joints for leaks usingJ 39400-AHalogen Leak Detector.